Manufacturer of a wide range of products which include maxlash eye care, carelash eye drops and careprost eyelash dops. 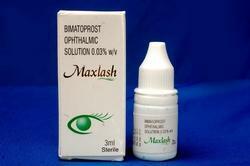 Maxlash Eye Care (bimatoprost ophthalmic solution) 0.03% is indicated to treat hypotrichosis of the eyelashes by increasing their growth including length, thickness and darkness. Ensure the face is clean, makeup and contact lenses are removed. Once nightly, place one drop of careprost (bimatoprost ophthalmic solution) 0.03% on the disposable sterile applicator and apply evenly along the skin of the upper eyelid margin at the base of the eyelashes. The upper lid margin in the area of lash growth should feel lightly moist without runoff. Blot any excess solution runoff outside the upper eyelid margin with a tissue or other absorbent cloth. Dispose of the applicator after one use. Repeat for the opposite eyelid margin using a new sterile applicator. Do not apply to the lower eyelash . Additional applications of careprost (bimatoprost ophthalmic solution 0.03% for hypotrichosis) will not increase the growth of eyelashes. We are supplier and trader of Carelash Eye Drops (bimatoprost ophthalmic solution) 0.03% is indicated to treat hypotrichosis of the eyelashes by increasing their growth including length, thickness and darkness. This product is supplied with applicator ensure the face is clean, makeup and contact lenses are removed. Once nightly, place one drop of careprost 0.03% on the disposable sterile applicator and apply evenly along the skin of the upper eyelid margin at the base of the eyelashes. Our associated vendors conduct stringent checks on each and every product using advanced testing tools to ensure that it is free from all kinds of side effects. 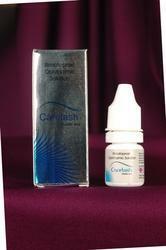 Patrons can avail from us a hygienic range of Careprost Eyelash Drops. These products are prescribed to treat patients suffering from glaucoma, which works by reducing intraocular pressure and ocular hypertension inside the eye ball. The offered range may also be used as an eye solution to help hypotrichosis, a condition of the eye lashes where hair growth is deficient. This product helps this condition by lengthening, thickening, and darkening the lashes. Careprost is a generic product of Latisse. 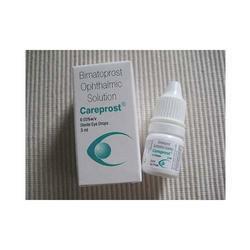 Careprost (Bimatoprost Ophthalmic) is a medicine used for growing eyelashes. The active ingredient, Bimatoprost Ophthalmic, does this by increasing the density, thickness, and length of the eyelashes. Bimatoprost Ophthalmic also increases amount of fluid in the eye and is actually officially used to treat glaucoma. For a glaucoma treatment, the medication needs to be dropped onto the eye, as opposed to the eye lid only when used for eyelash treatment. Put one drop of Careprost (Bimatoprost Ophthalmic) on a liquid eyeliner cartridge. Draw a line along the upper eyelid, and then remove the excess liquid. Repeat this procedure with the other eye. Do not apply Careprost (Bimatoprost Ophthalmic) to the bottom eyelid.